Two years after the People’s Liberation Army created a new Strategic Support Force, a combined cyber and space warfare and military spy service, details about the force’s structure and mission remain wrapped in mystery. PHOTOS have emerged of new construction in China, which experts believe could be part of a contingency plan to invade North Korea or amass their huge army on their shared border amid World War 3 fears. Communist China has traditionally been North Korea’s closest ally, but Kim Jong-un’s continued nuclear and ballistic missile tests have tested Beijing’s patience. It also comes as North Korea was spotted transporting 30 Scud missiles from Hwangju, south of the capital Pyongyang, to Nampo, on the Korea Bay coast opposite China. 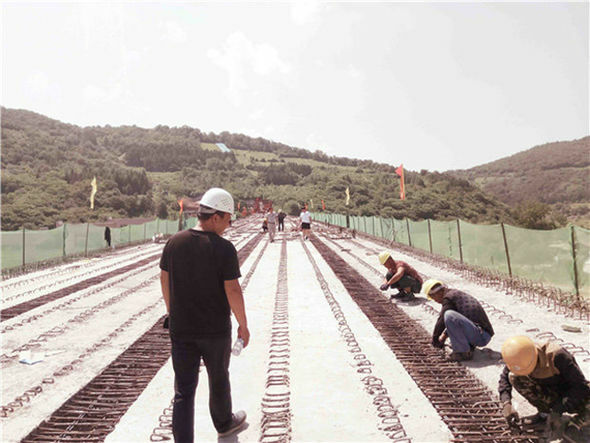 Now photos reveal the Communist superpower is building a six-lane highway in its desolately populated north east on route to North Korea. 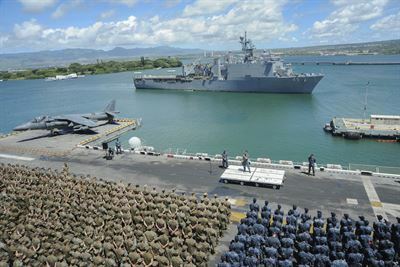 Hawaii is home to 11 military bases and U.S. Pacific Command’s HQ. Defense analysts said Hawaii could be targeted by North Korea, which continues to develop its nuclear and intercontinental ballistic missile capabilities, Military.com reported on May 13. Always remember, as explained by Mr. Chi Haotian, Minster of Defense and vice-chairman of China’s Central Military Commission, extermination of America is the goal of China. In February of 2010, hand-to-hand combat with America within 10 years was promised by Colonel Meng Xianging. Anyone who doesn’t see the danger from these credible warnings straight from the Chinese regime itself is definitely not awake. Sadly, such is the current state of America where shopping until you drop is the number one priority. Note: Due to the the article being highly recommended for anyone to read so that it raises awareness, it will remained archived here in full. A set of three mysterious satellites has experts guessing about the Chinese space program’s intentions. No one really knows what the Chinese are up to, and everything is speculation. That appears to be the consensus of space experts tracking a set of Chinese spacecraft. Some have speculated that the Chinese are testing possible anti-satellite technology, while others have described the satellites as prosaic probes meant to sharpen the country’s overall space skills.